BUILDING ON THE COMPANY’S TRADITIONAL STRONG INNOVATION DRIVE, SOLTIGUA’S SOLAR RESEARCH TEAM HAS DEVELOPED PRESTIGOUS INTERNATIONAL PARTNERSHIPS WITH SEVERAL OF THE WORLD’S LEADING RESEARCH INSTITUTIONS. Solar innovation encompasses both PV tracking and concentrated solar thermal technologies, and ranges from development of innovative components, to new products to new system configurations. Soltigua’s research team of engineers and technicians is specialized in addressing the mechanical, electrical and software engineering of innovative solutions that seamlessly translate disruptive new concepts and into effective manufacturing of competitive solar products. The breadth and depth of Soltigua’s research efforts is documented also by its participation in several international research initiatives and projects, such as the following European research projects under the Seventh Framework Program (FP7) and Horizon 2020. 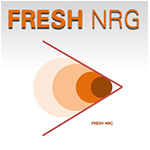 Soltigua is the coordinating partner of the FRESH NRG FP7 project, which is developing a Linear Fresnel Collector (LFC) optimized for industrial use.In this project, Soltigua with the support of leading European research institution, has already developed an LFC with optimized design which can make use of both evacuated and not evacuated receiver tubes, which is being installed and tested in Italy, Germany and Jordan. 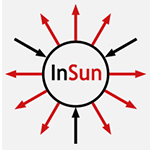 The main idea of InSun is to demonstrate the reliability and quality of large scale solar thermal systems for different types of industrial process heat applications on medium and high temperature levels. Three different types of collector systems are demonstrated and compared: improved flat plate collectors and parabolic trough collectors water heating up to 95°C in an Austrian meat factory for, tracked concentrating Fresnel collectors for an Italian industrial dryer at 200°C.In this project, Soltigua has already developed a large solar field of linear Fresnel collectors to generate up to 1.8 tons/hour of steam to serve the needs of an industrial process. 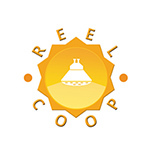 REELCOOP will develop decentralised (distributed) building integrated PV systems and ST/biomass micro-cogeneration systems, as well as centralised generation of electricity in hybrid solar/biomass power plants. This is in accordance with the EU SET-Plan approach of developing a European electricity grid able to integrate renewable and decentralised energy sources.In this project Soltigua is developing parabolic trough collectors to be used with Direct Steam Generation (DSG) in a Concentrated Solar Power (CSP) system in Tunisia. The BRICKER project develops a scalable, replicable, high energy efficient, zero emissions and cost effective system to refurbish existing public-owned non-residential buildings to achieve at least 50% energy consumption reduction through an optimal combination of passive and active technologies.In this project, Soltigua will provide optimized parabolic trough collectors to work up to 250°C and more together with an ORC turbine to realize two innovative energy systems which will be installed in Spain and Turkey. corrosion resistant high-temperature metals and coatings for steam and molten salts. Minwater addresses to challenge of significantly reducing the water consumption of CSP plant while maintaning their overall efficiency. FLEXYNETS will develop, demonstrate and deploy a new generation of intelligent district heating and cooling networks that reduce energy transportation losses by working at “neutral” temperature levels. Traditionally, district Heating and Cooling (DHC) networks distribute energy from a centralized generation plant to a number of remote customers. As such, actual DHC systems are affected by relevant heat losses and unexplored integration potential of different available energy sources into the network. ORC-PLUS project aims at developing an innovative Thermal Energy Storage system which is optimised for CSP plants in the scale of 1-5 MWe. This will improve the dispatch ability (production on demand) and number of hours of production, regardless of sunlight availability, of an existing small CSP plant coupled with an ORC system (located in a desert area). Re-Deploy is a project funded by the European Union’s by the European Union’s Horizon 2020 research and innovation programme under the Grant Amendment no. 711935-3. The project aims at developing cost competitive re-deployable solar boilers, i.e. 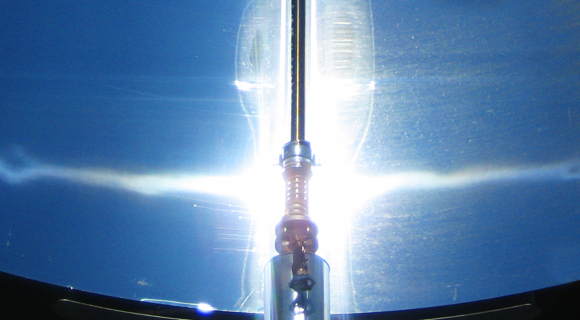 turn-key and easy-to-install concentrating solar thermal systems of at least 1MWt which can be re-deployed i.e. installed, used and then dis-assembled to be installed again in a different location. If you are interested in collaborating with Soltigua’s R&D activities, please contact us at info@soltigua.com. We’re extremely proud of what we’ve achieved together with charitie lorem individuals, philanthropists and schools since the Big Give was founded in 2007, and here are some fact from our achivemnet. How to pursue pleasure rationally consequences that are extremeely painful or again is there anyones who loves or pursues or desires to obtain pain of itself because its sed great pleasure get well soon.